Uzbekistan can be granted observer status at the CSTO Parliamentary Assembly, Podrobno.uz quoted the Speaker of Lower House of Russian Parliament, Chairman of the CSTO Parliamentary Assembly Vyacheslav Volodin as saying at a meeting with the Chairman of the Senate of Uzbekistan Nigmatilla Yuldashev. Volodin noted that in this format, the parliamentarians could discuss the legislative support for solving the security problems and combating the drug trafficking, and consider the possibility of adopting laws in these areas. In addition, at the meeting, Volodin confirmed his intention to make a visit to Uzbekistan, which can take place in 2019. 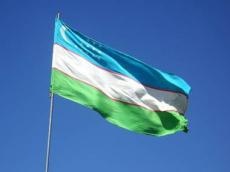 He also pointed to the achievements of Uzbekistan in the development of the Russian language, which is the language of inter-ethnic communication in this Central Asian state.